Have a question about the Trident 3 Ring Zippered Log Book Organizer? Comes with side pen holders, dive certification cards and business cards, Dive planners and other dive stuff. 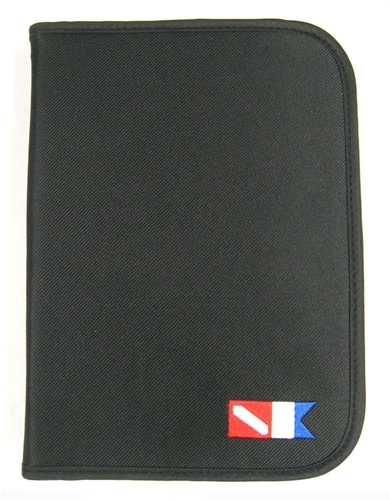 3 ring zippered dive log will hold PADI and NAUI, and generic refill log book pages. Water resistant so you don't soak your log book before it gets used! Made of Cordura 400 denier material. Perfect. Son loved it. New NAUI open water. Stock NAUI binder does not organize well. Son reports Trident binder worked perfectly on first dive trip to BSA Seabase in August. Very pleased with OnlineScuba support in purchase.